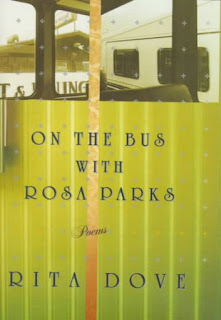 If you've never read Rita Dove's On the Bus With Rosa Parks: Poems [811 DOV] then you are in for a treat! I'm going to share a poem from the collection that is stunningly simple, yet life affirming. I can hear that noisy jay. I can smell the sausages sizzling. I want to race down to the kitchen--don't you? We all need a second chance, but we have to be willing to give ourselves that chance before anyone else will. 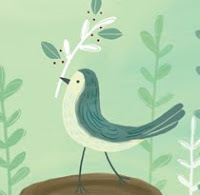 Have a great weekend, but before you race off to the beach or the woods, stop by Keri Recommends for the Poetry Friday Round-Up. Most kids pick up pretty rocks at the beach. Sometimes this leads to a life-long interest in rocks, rock hunting, and rock collecting. Rockhounding New England: A Guide to 100 of the Region's Best Rockhounding Sites by Peter Cristofono [552.0974 CRI] is a guide book that takes you to locations, including some in New Hampshire, where you can look for rocks. Most quarries and locations, however, have restricted access. There are museums in NH that are open to the public that have collections of rocks and minerals for viewing. The Little Nature Museum in Warner, and the Woodman Institute Museum in Dover are two. Really close to home is America's Stonehenge in Salem, which is having a "Kids' Gemstone Dig" until Labor Day. An online gallery of NH minerals can be found here. And for those wanting to learn more about NH's rocks and minerals, the NH Geological Survey website might be the place to start. Bugs Bunny, has reached the ripe old age of 75 years. I hope you caught some of the media coverage of this cartoon milestone. I welcome any opportunity to share a Looney Tunes clip with you, so here, in honor of Bugs Bunny's birthday is Bugs and Elmer doing what they do best--singing! If you now are craving more Bugs Bunny, come borrow one of our sets of Looney Tunes Golden Collection [DVD LOO] cartoons. The ballet, Swan Lake, has been re-imagined by the dancers and acrobats of the Great Chinese State Circus. You can view more acrobatic ballet here. The ballet is based on the symphony by Peter Ilich Tchaikovsky, which itself was based on an old folktale. The folktale has been retold for children by Anthea Bell [JP BEL] and is in our picture book section, as are several ballet inspired books. 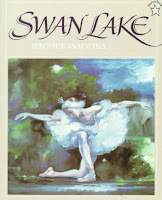 One of these is Swan Lake by Rachel Isadora [JP ISA]. Isadora was a trained dancer until an injury led her to pursue children's books; she even performed for a time with the Boston Ballet. The story of Swan Lake is also included in The Illustrated Book of Ballet Stories [J 792.8 ILL]. Outdoor cooking has changed considerably since the olden days when people built fires in pits! In the 1950s a simple charcoal grill (or a hibachi) was the staple of a suburban backyard. The only thing, though, it often took up to a half-hour before the fire was at an even temperature to allow for cooking. Then came the firestarter in a can that resulted in a quicker starting fire and not a few singed eyebrows! Nowadays we have gas grills that can be hot enough to cook within seconds. Most everyone enjoys eating outdoors, too. Especially kids. How about cooking and eating out-of-doors tonight? 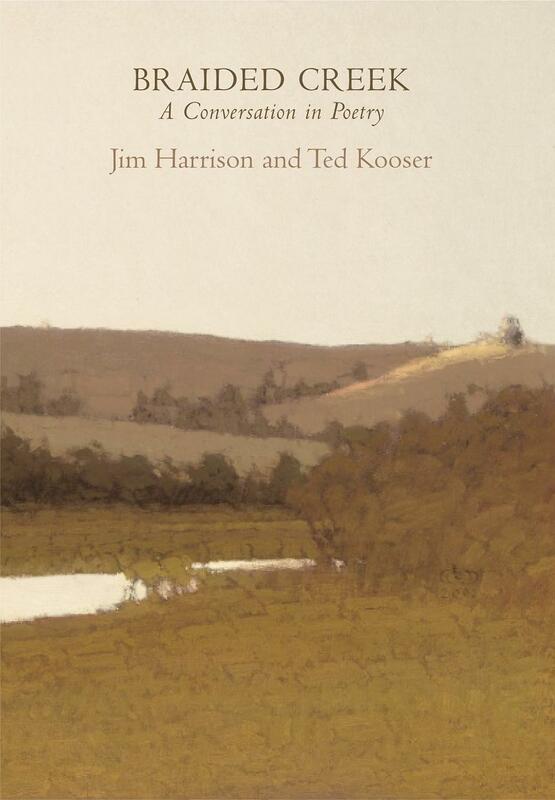 Longtime friends, Jim Harrison and Ted Kooser always exchanged poems in their letter writing. 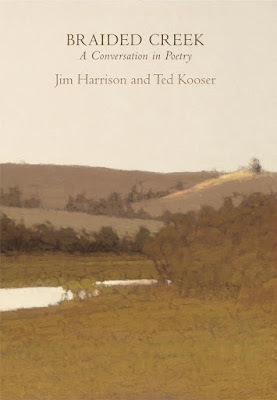 After Kooser was diagnosed with cancer several years ago, Harrison found that his friend's poetry became "overwhelmingly vivid," and they began a correspondence comprised entirely of brief poems, "because that was the essence of what we wanted to say to each other." checking the private lives of mice. to break through the shell. Head down to Louisiana to visit Margaret who is holding today's Round-Up at Reflections on the Teche. 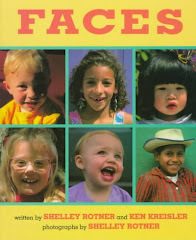 Click on this link to see an awesome collection of "faces" and keep your eyes open for faces around you. As a species, humans innately look for faces, mostly, I assume, as a means to determine if the face one is looking at is welcoming or threatening. When researchers showed newborns a picture of three dots arranged as a face (two dots for eyes and one dot for a mouth), the babies looked at it longer than they did when the dots were arranged in other ways. "Babies are hardwired to recognize faces, which helps them connect with their caregiver early on," says Michael Frank, a brain and cognitive sciences researcher at the Massachusetts Institute of Technology. "They like to look at anything that resembles a face, even something as abstract as an electrical outlet." We even have books about faces in our children's section! 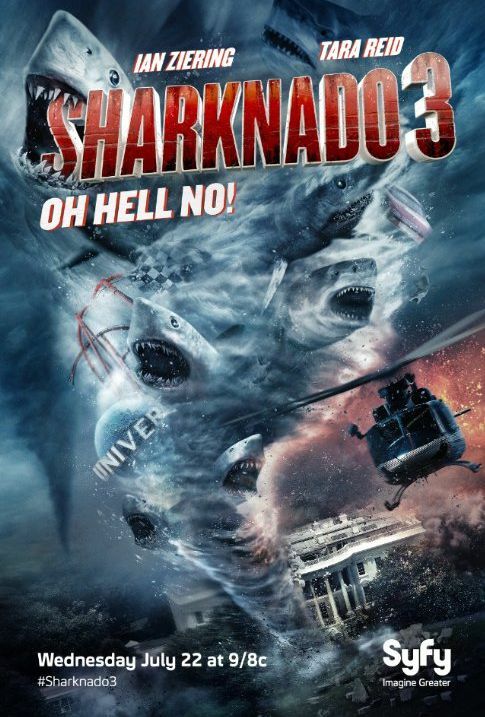 Oh, hell, yes--it's Sharknado 3: Oh Hell No! 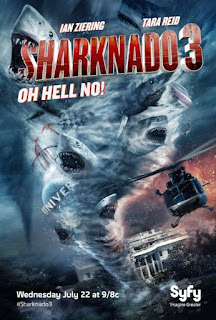 day on the Syfy channel, and that's all I'll say about that! However, if you have a burning desire to endulge in a little shark reading or viewing, we can set you right up! I've posted a number of times about ebooks in our collection. 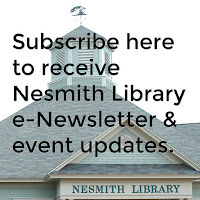 The Nesmith Library is part of two consortiums: GMILCS, through which you have access to 3M ebooks, and NH Downloadable, through which you have access to Overdrive ebooks. If you're new to ebooks, check out this page on our website. Many readers like the instantaneous gratification of loading ebooks--a reader can download new books on the day they are released by going to any of the major online bookstores. Of course, this comes with a price. The consortiums allow you to borrow without charge. They try to keep up with the demand for the new hot totals, but, you may often find yourself on a waiting list. Fast forward to six months, or a year later, and those books that were in high demand, have now been replaced by a new batch of bestsellers. Here are some 3M titles that were popular a while ago, and, last I checked, were waiting for you to borrow! It's summer and the most universal symbol of summer is the sun. 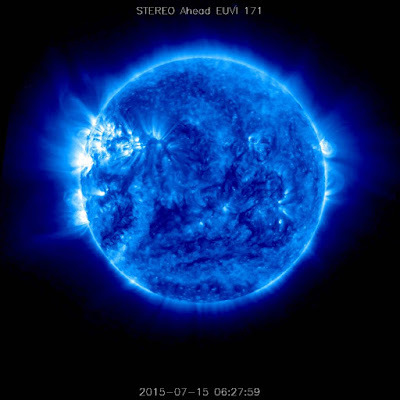 It's amazing how we can harness the energy of the sun to power and heat our homes. More research and development, including investment, is needed before we can truly say we've taken full advantage of the sun. Researchers at the Michigan State University are moving in the right direction with the development of a "fully transparent solar concentrator, which could turn any window or sheet of glass (like your smartphone’s screen) into a photovoltaic solar cell." Take a look at the photo that accompanies the article on the solar cell. Look for one of the adult or children's books found in 523.7 and J 523.7 for books about the sun. Or, to learn about what human activity is doing to the power of the sun, look for the PBS video, Dimming the Sun [DVD 551.6 DIM]. Scientists examine the impact of pollution on the amount of sunlight that reaches the earth, maintaining that the effects of global dimming may alter rainfall patterns and contribute to droughts and famines worldwide. Visit the NASA website to learn even more about the star that is nearest to us. This photo of the sun was captured less than a week ago by NASA/STEREO. Poetry Friday--Happy Birthday, Eve Merriam! Eve Merriam was born on July 19, 1916. If she had lived long enough, on Sunday she would have turned 99 years old! This accomplished children's poet passed away in 1992. Her poems survive her and continue to be anthologized and reprinted. This week's Round-Up is hosted by Kimberley. Our adult crafts club met Tuesday night and created tiles and other pieces using brightly colored alcohol inks. The crafts club meets monthly in our multi-purpose room and provides adults with the opportunity to try out new crafts materials and techniques. It is always good to remind adult library users that the Library has quite an extensive crafts section. If you thought we only had books on how to knit, crochet, or quilt, then pay us a visit soon to browse the shelves! The book came out yesterday and already the holds list has grown. The hype surrounding this new release has been phenomenal, and I don't expect to wind down any time soon. Add to that the fact that although we preordered the title more than two months ago, it hasn't been delivered here yet! To read a brief history of the book's road to publication, click here for The Washington Post's cleverly titled, "To Shill a Mockingbird." Today is the release date for Harper Lee's long-awaited novel, Go Set a Watchman [F LEE]. Lots of people have been anticipating its release since it was announced in February. No matter how many copies we purchase there will be a holds list, so put your name on it now! 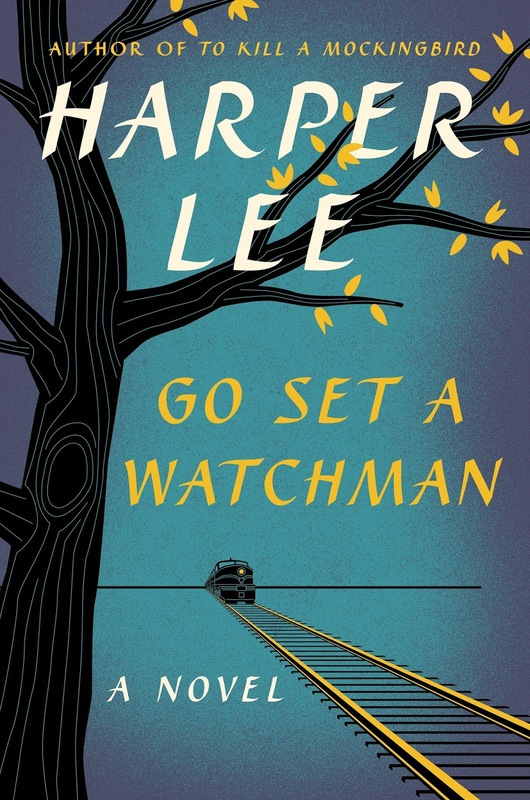 And there's sure to be renewed interest in Lee's To Kill a Mockingbird, the book [F LEE], the audio [AB/CD LEE], and the DVD [DVD TO]. Also, today is the day of EIGHTS for Kurious Kitty! The blog has been active for 8 YEARS, 8 MONTHS, and 8 DAYS! July 13 is the birthday of movie director Cameron, Crowe. He was born in 1957. It is also the birthday of actors, Harrison Ford (1942), and Patrick Stewart (1940). 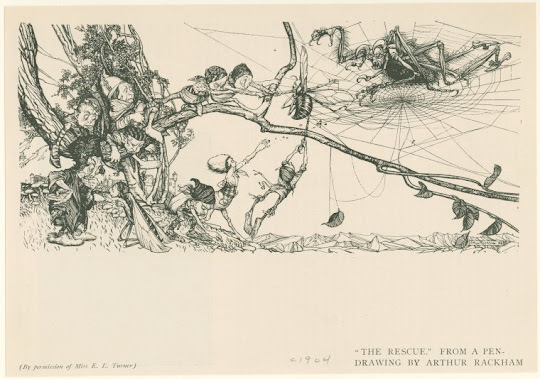 Poetry Friday--"A Noiseless Patient Spider"
Despite some of them having a ghastly appearance, I try not to dispatch spiders because they keep other annoying bug populations in check. And sometimes, I even spend a little time watching before capturing and releasing them outdoors. Here's a spidery poem by Walt Whitman, which I particularly like for the line that contains "filament, filament, filament, out of itself." The words perfectly describe the spider letting out its silk--you can almost feel the jerky movement. Illustration by Arthur Rackham courtesy NY Public Library Digital Collections. The Logonauts are hosting the Round-Up today, be sure to visit! 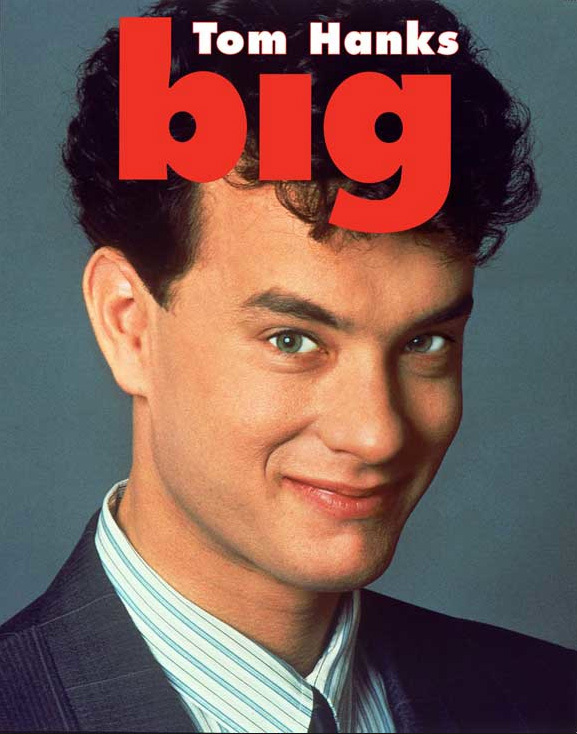 Today, in 1956, actor Tom Hanks was born in Concord, CA. That makes him 59 years old! Holy cows! The man who will eternally be associated with the child-like role he played in Big [DVD BIG], or the voice of Woody in the Toy Story [J DVD TOY] movies, is nearly a senior citizen! You may want to watch a few of Hanks' older movies like The Money Pit [DVD MON], Sleepless in Seattle [DVD SLE], or Joe Versus the Volcano [DVD JOE], then compare them to a few of his latest ones, Captain Phillips [DVD CAP] or Saving Mr. Banks [DVD SAV], to see how much he has grown as an actor. This is certainly something to celebrate! Who doesn't like ice cream? When Ronald Reagan first proclaimed the month, back in 1984, he wrote, "Ice cream is a nutritious and wholesome food, enjoyed by over ninety percent of the people of the United States." 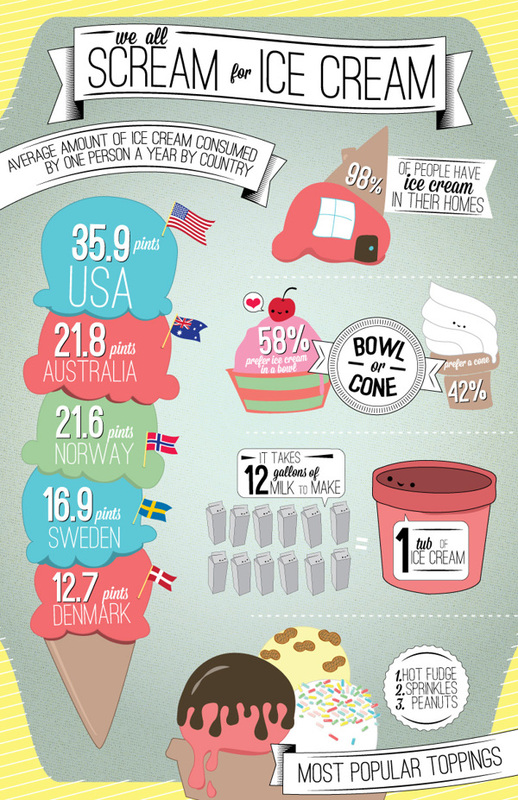 In 2012, New Hampshire ranked 9th in the top ten ice cream eating states. Click on image to enlarge. Inforgraphic by Anastasiya Vasyuta, courtesy Behance. We have all kinds of ice cream books including ones with recipes for nondairy ice cream! If your waistline can't stand a whole month of ice cream, then, you must at least celebrate National Ice Cream Day! on July 19. With vacations and the more relaxed atmosphere of summer, we've seen a jump in the number of videos being checked out each day. We have a good number of videos, though, that are still sitting on our shelves. A number are classics, which, if you've never seen before, we may want to sit down and watch! The Library is closed today, tomorrow, and Sunday, but I do have a poem for you today! 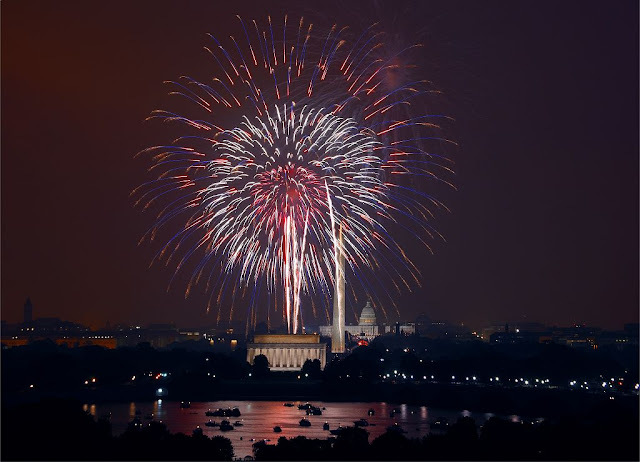 It's not exactly a patriotic poem, but a good one to share nonetheless for Lowell's use of color and the description of fireworks. And we are so polite, we two! And scatter the sky with my bursting heart. Buds into roses – and flares and falls. Peppered with mauve and amethyst. And all because I hate you, if you please. And wheels all amaranths and maroons. As you mount, you flash in glossy leaves. Such fireworks as we make, we two! Because you hate me and I hate you. The poem was published one hundred years ago in The Atlantic Monthly Magazine. Stop by Mainely Write for this week's Poetry Friday Round-Up. 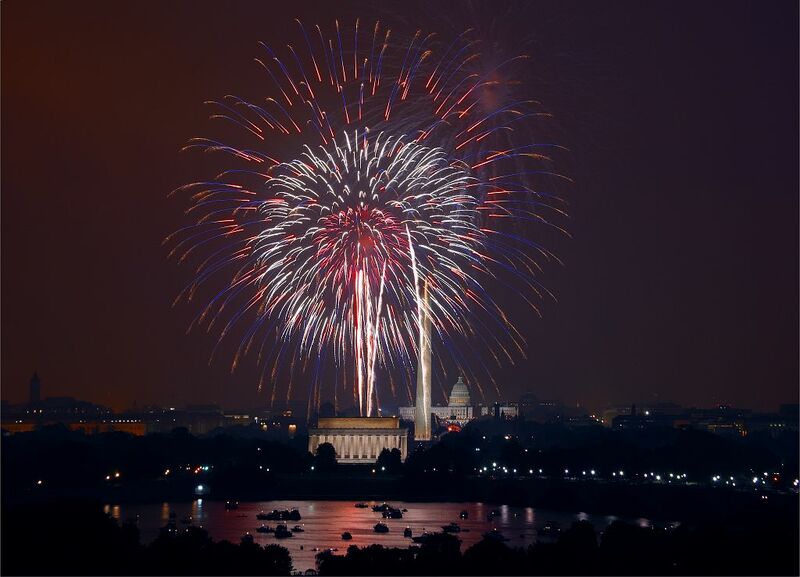 Have a safe 4th of July and leave the fireworks to the experts! Photo by Carol M. Highsmith courtesy Library of Congress. The Library needs an upgrade to our HVAC system, so we have issued a "Request for Proposal." Information and specifications my be found here, or at the Library. Now is a good time to start thinking about your home heating system. Cold weather shouldn't be moving in for three or four months (if we're lucky), so you can get a good head start on upgrading it or cleaning/repairing it. You also may want to explore how well your home is insulated and weatherproofed. Weatherproofing [693.89 WEA] or Insulate and Weatherize: Expert Advice from Start to Finish by Bruce Harley [693.8 HAR] will start you off on the path to a comfortable 2015-2016 winter season. 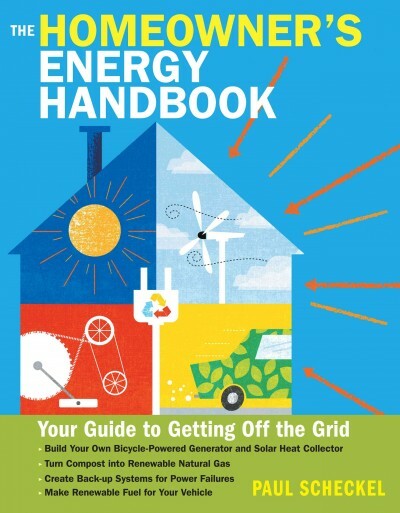 Feel the need to start making the switch to renewable energy sources? If so, look for The Homeowner's Energy Handbook: Your Guide to Getting Off the Grid by Paul Scheckel [696 SCH]. This book also covers insulating.